The Recruitment Rollercoaster Podcast my names Hishem Azzouz and I will be bringing to life the true failures, learnings and successes of Recruiters and Recruitment Business Owners. I will be having 10 to 20 minute conversations with Recruitment Professionals. I will be asking a whole host of questions that will give them the opportunity to share their experiences and to give value to those in and outside of the Recruitment Industry. Ep 14 - Tiffany Sanya, Running your own Rec Business & more. 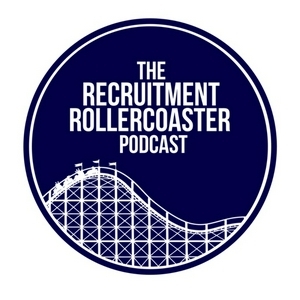 Ep 13 - Tom Cotterill, The power of providing value first ..
Ep 5 - Alex Moyle, How to climb up the Recruitment Ladder ..
Ep 2 - Petrus Wessels, 12 Months into Recruitment and he is loving it! Ep 3 - John Cousins, Candidate short market in Sydney..